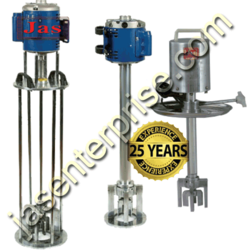 Keeping in the mind various requirements of our clients, we are offering premium quality Electric Curd Percolator. we are leading manufacturer of our owned brand curd /butter milk mixer. We are a top notch supplier of Curd Percolator. For making Pungabi Lassi, percolate Curd and get butter just in 10 Minutes. Heavy duty Motor, Elegant, Durable and Economical. Being a client centric firm, we are engaged in providing a wide series of Electric Madhani. Besides, the provided product is available for our customers at reasonable price. Uses: Dairy and Food Ind. Used for liquid mixing etc.